Star Mountain’s Founder & CEO, Brett Hickey was featured in Wealth & Finance Magazine’s October 2017 issue. 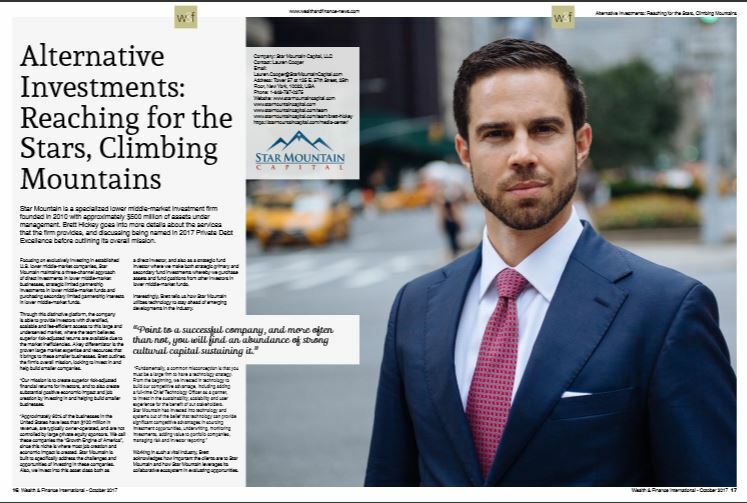 You can find his piece “Alternative Investments: Reaching for the Stars, Climbing Mountain’s” on pages 16-19. Click here to read the article on AI Global Media’s website.